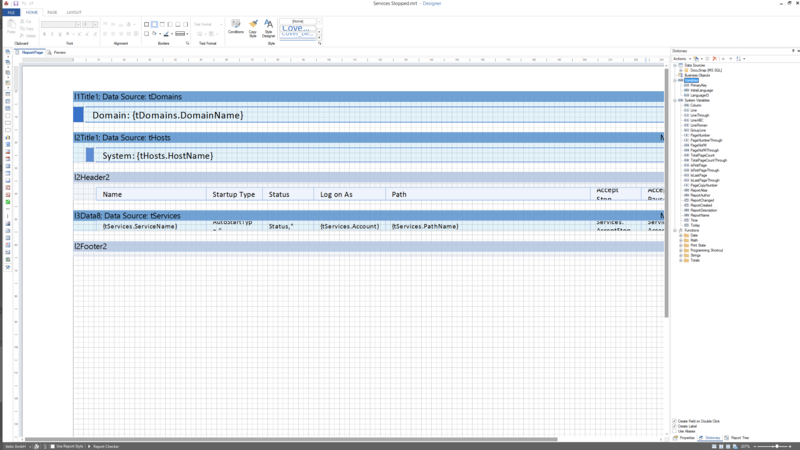 Create custom reports or adapt existing reports using the integrated Report Designer. 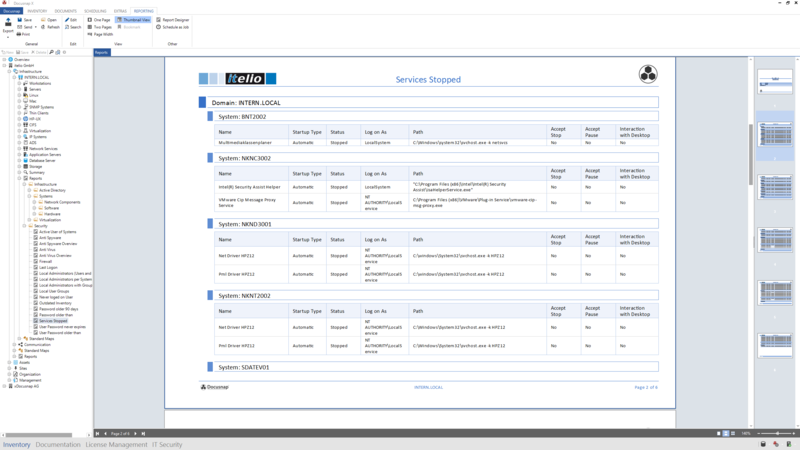 Define scheduled delivery of reports by e-mail so that they are always up-to-date. 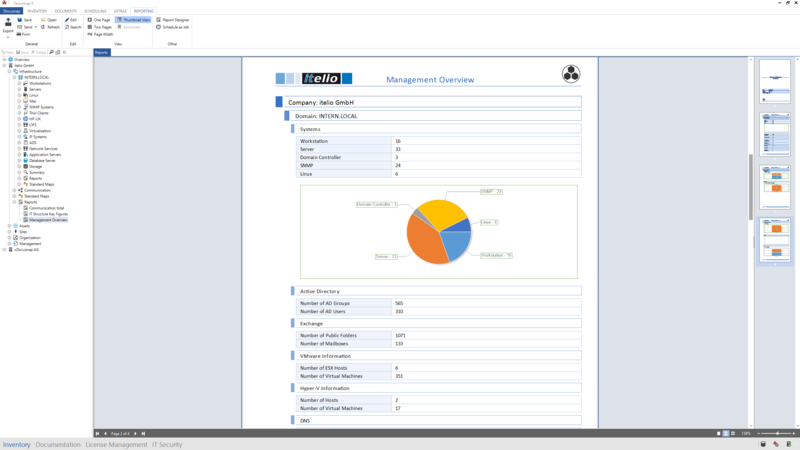 Adapt the design of your reports to your company’s CD. Export reports or lists, e.g. as PDF documents or to Excel files. 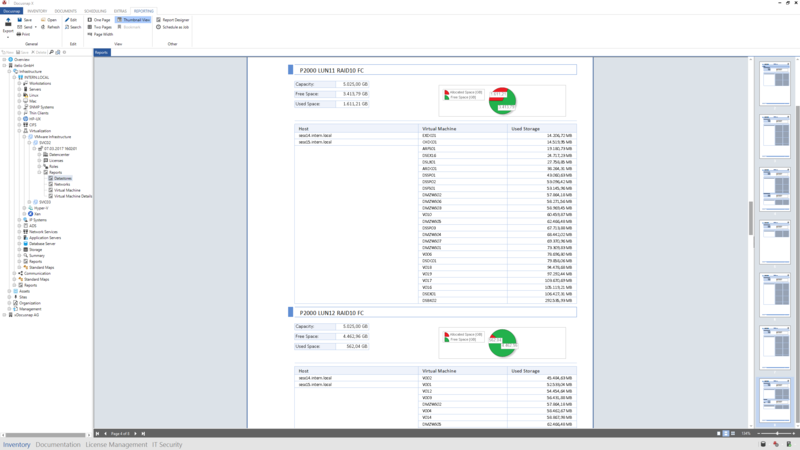 Create evaluations and reports in the desired language: English or German. For the creation of emergency manuals, etc., link all reports and evaluations to IT concepts, as desired.